I cannot believe that I watched this, a television program with a guy fantasising about a girl dressed as a nun masturbating, on the train. Sitting next to my mother. Who had down her reading to see what I was watching. She then proceeded to watch the rest of the episode with me, and the whole situation rang to me of this (absolutely NSFW ever). 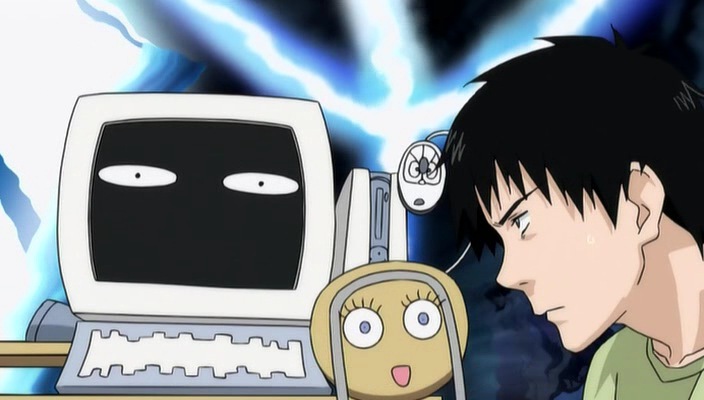 After my battle with mortification was over, I got to reflect on this episode: it’s actually the pretty interesting tale of a hikikomori who wants to make good. I’ve heard that the humour goes down as the anime cannot maintain the preversion level of the manga, but it’s intriguing enough that I don’t care about that.